Dear Lord Jesus and Mother Mary please hear my prayers. You know i live all alone and i have so many problems especially financial problem after i fell from the stairs and my foot was fractured and i had not been able to get any job for the past 1 and half years. And the guy whom i want to marry, John he is also is so much financial problem, he used to help me financially but now even he is not helping me. Please pray for our finance abundancy and also that John and i get married soon. Please also pray that until i find a job that he supports me financially. 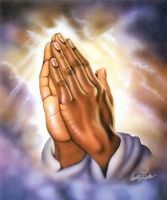 Please pray for me especially at the place where I stay, the neigbours, they practice witchcraft and other things like that and they cannot see others prosper, from last year I am suffering financially terribly and not able to secure any job after my foot was fractured though iam well healthwise now. Please pray that whoever practices witchcraft and if or she is doing anything against me please pray that it should be stopped.